Hezbollah Says Insurgents Killed Its Top Commander In Syria : The Two-Way The Lebanese militant organization says it was insurgent shelling near Damascus International Airport that killed Musrafa Badreddine. But major questions remain about the circumstances of his death. Hezbollah supporters carry the coffin of their slain top commander Mustafa Badreddine during his funeral procession in a southern suburb of Beirut, Lebanon, on Friday. A day after announcing the killing of its top commander in Syria, the militant group Hezbollah says insurgents are to blame. The group says Mustafa Badreddine was killed at "one of our positions near the Damascus International Airport" as a result of "artillery bombardment carried out by Takfiri groups stationed in the region," in a statement carried by its official media outlet, al-Manar. Hezbollah, which is Shiite, refers to hardline Sunni militant groups as "Takfiri." It did not specify which group it is accusing. Hezbollah fights in support of Syrian President Bashar al-Assad and are seen as an important force behind keeping him in power after five years of war. 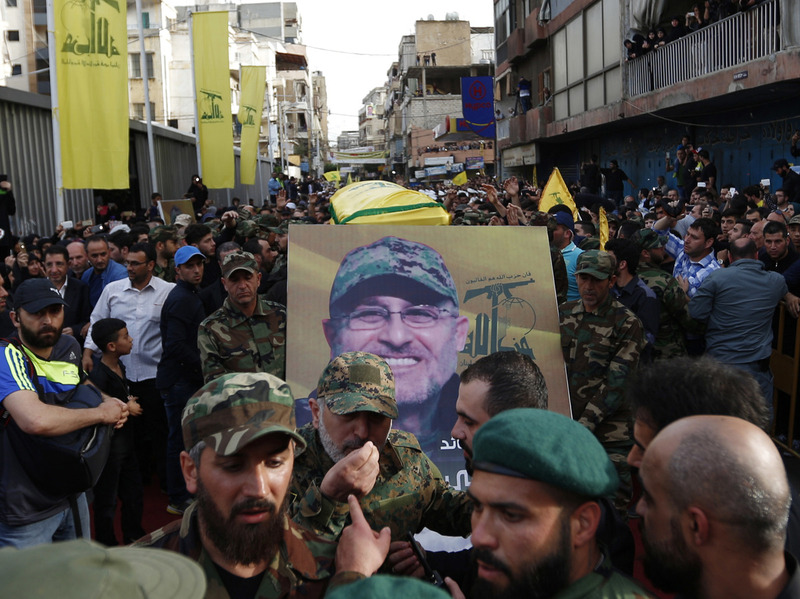 Hezbollah did not initially accuse anyone of killing Badreddine, Hezbollah's highest-profile leader to be assassinated since 2008, as we reported. Questions had been raised about whether Israel was involved — and top Israeli officials had declined to comment. Israel has "carried out a number of strikes against [Hezbollah's] weapons convoys and commanders over the course of the war," NPR's Alison Meuse told our Newscast unit yesterday. Hezbollah said in its statement that the "outcome of the investigation" only increases its resolve to continue fighting in Syria. Still, big questions remain about the circumstances of Badreddine's death. The group doesn't specify when he was killed. However, according to the Syrian Observatory for Human Rights, multiple individuals on the ground in the area say there was no shelling at the airport or surrounding areas in recent days, apparently casting doubt on Hezbollah's version of the events. As we reported, "Badreddine is believed to be responsible for the group's extensive military operations inside Syria since 2011, along with numerous other attacks. According to the U.S. Treasury Department, which has sanctioned Badreddine, his responsibilities included moving the group's fighters from Lebanon to Syria as well as leading a major group offensive."